P102 million, to be exact, as of April 5. Wow! 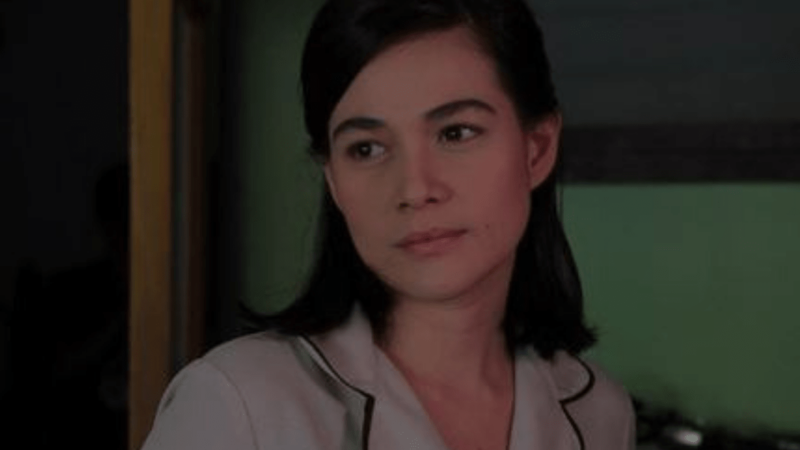 Bea Alonzo's horror flick Eerie has just surpassed the P100M mark in terms of domestic ticket sales. According to ABS-CBN News, the movie hit P100M in the local box office within just 10 days after its release in cinemas. 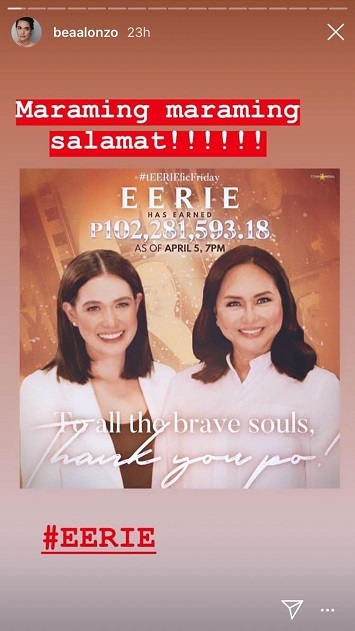 As of April 5th, Friday, Eerie has officially earned P102M. Director Mikhail Red took to Instagram to share the news earlier today, even mentioning a quote from Walt Disney to express his love for his craft. "We don't make movies to make money, we make money to make more movies! - Walt Disney," the filmmaker said in his post. Mikhail is also the director behind Block Z, a zombie movie starring Julia Barretto and Joshua Garcia, and Dead Kids, a teen thriller starring Sue Ramirez. Mikhail was also the genius behind coming-of-age thriller film, Birdshot. On Instagram stories, Bea expressed her gratitude to those who have supported the film. Eerie is about a school guidance counselor who looks into the mysterious death of a student, who appears to have committed suicide. The student's ghost haunts the school's halls. Watch Eerie's official trailer here.